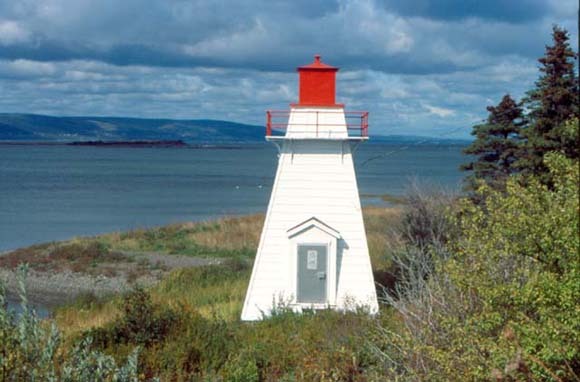 The Department of Fisheries and Oceans recently decided that each of the 1879 range lights at Havre Boucher were beyond repair, due to major rot. 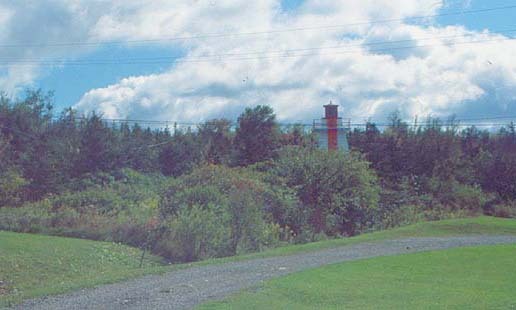 In an effort to retain some of the heritage character of the site, Coast Guard carpenters based in Charlottetown, Prince Edward Island recently built a brand new “modular” lighthouse to replace the rear tower. 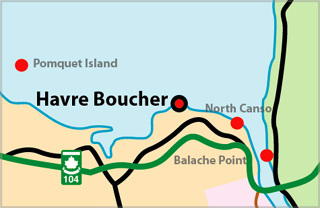 It’s the first of its kind in Nova Scotia. The front tower is now a galvanized steel structure. The new tower has a lightweight aluminum frame, sheathed with plywood and sided with vinyl that looks like cedar shingles. The tower preserves the look of a traditional wooden lighthouse, while cutting down on maintenance such as painting and repairs to rotten wood. The light was scheduled to be re-lit during the week of March 22nd. Light Height: 043ft feet above water level.